Once they were the greatest heroes of the Mortal Realms. Over the centuries, they were chosen by Sigmar and forged into immortal golden warriors. From then on, as one of them dies, he will return to Azyrheim to be forged again. But immortality has its price and every death changes them. 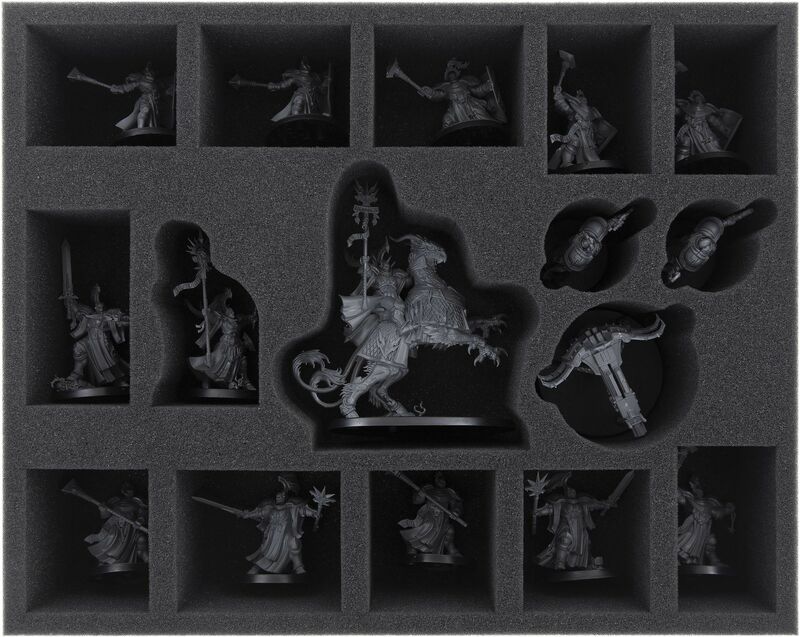 With Soul Wars you will get 19 miniatures of the Sacrosanct Chamber. As always, the figures delight with a lot of loving attention to detail. Be it the impressive Lord-Arcanum on his Gryph-charger, the female wizard Knight-Incantor with incantor's staff and spirit flasks or the Sequisitors armed with stormsmite mauls. They all need a safe place aside the battlefields. 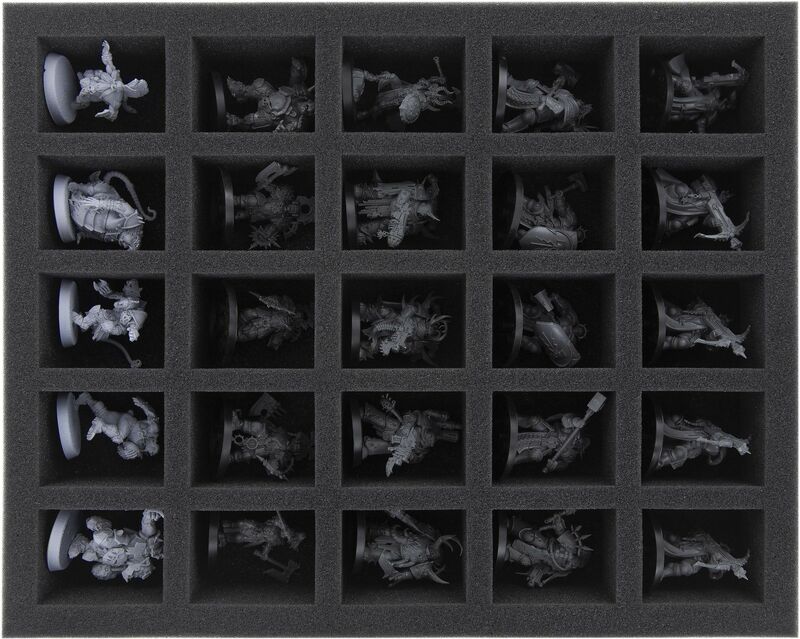 And this is exactly what we offer to you and your miniatures with this foam tray set in the practical MEDIUM bag. Two large foam trays provide a safe place for Sigmar's warriors after the battle. All miniatures are stored clearly arranged, in compartments specially tailored for them. Completely surrounded by soft foam, sensitive parts such as the Lord Arcanum aetherstave or the Evocators' stormstave remain optimally protected. Vexingly bending is prevented. And also, the colors of painted miniatures will not flake off. A foam topper on the upper tray provides final protection of the figures to the top. 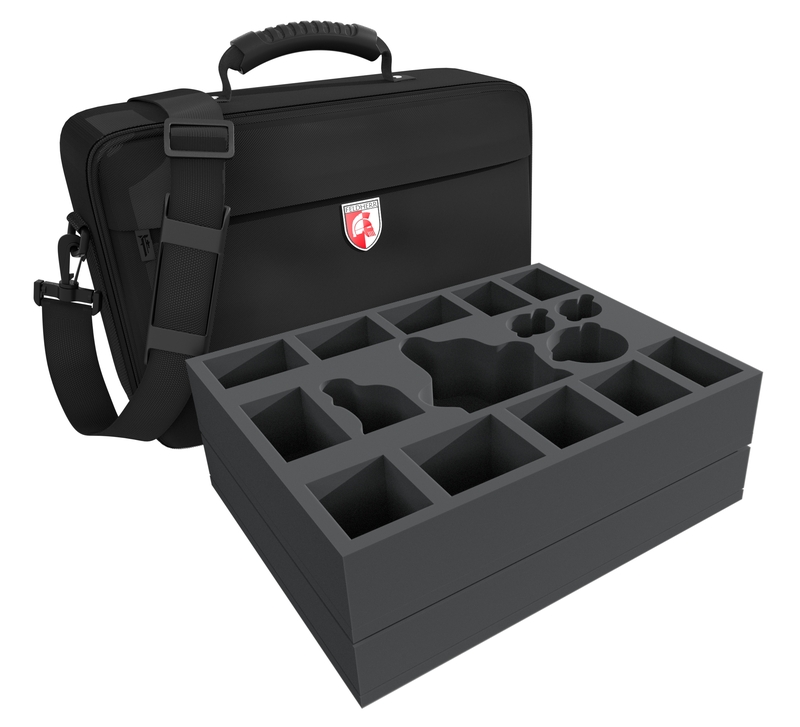 There are also 20 free compartments on the second tray for additional miniatures or game material. This leaves room in the bag for future expansions. 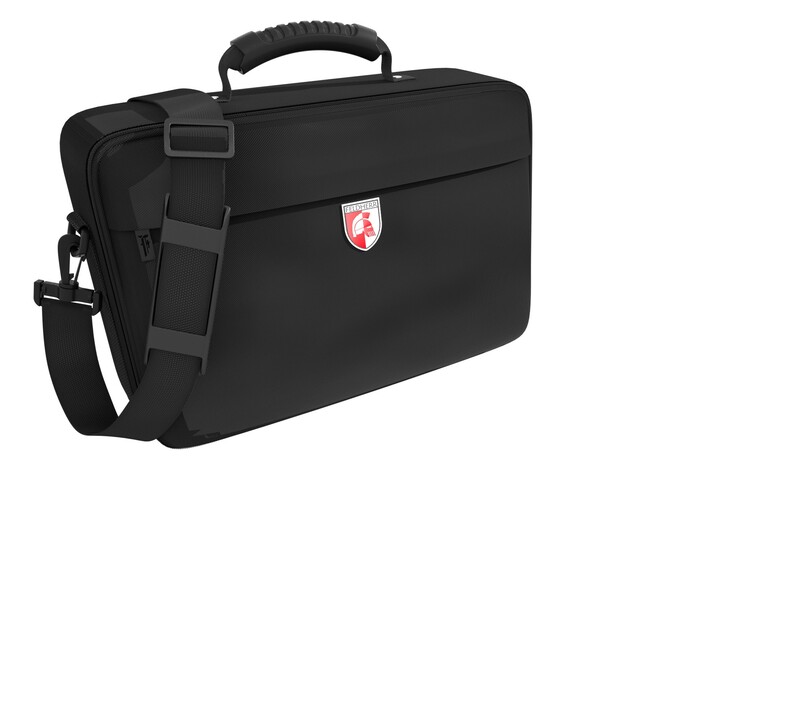 The robust, black MEDIUM bag has padded side panels and a reinforced bottom. 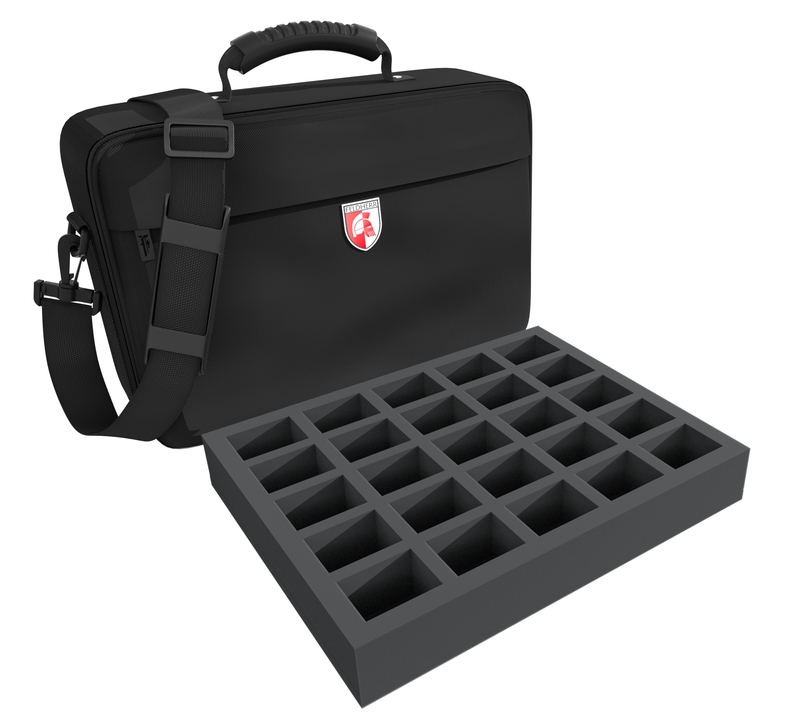 This ensures that the contents are always safely stored, even when transported by car or train. A sturdy belt provides additional comfort. The books for the game can be placed in the bag as well. With this set your Stormcast Eternals faction is well stowed away and can be easily and safely transported to the next tournament or game at any time.